Remembering 11 Glens Killed Liberating Leesten, The Netherlands - Website of Glens' Association! Leesten, The Netherlands, in the 1940's was a small farming community. 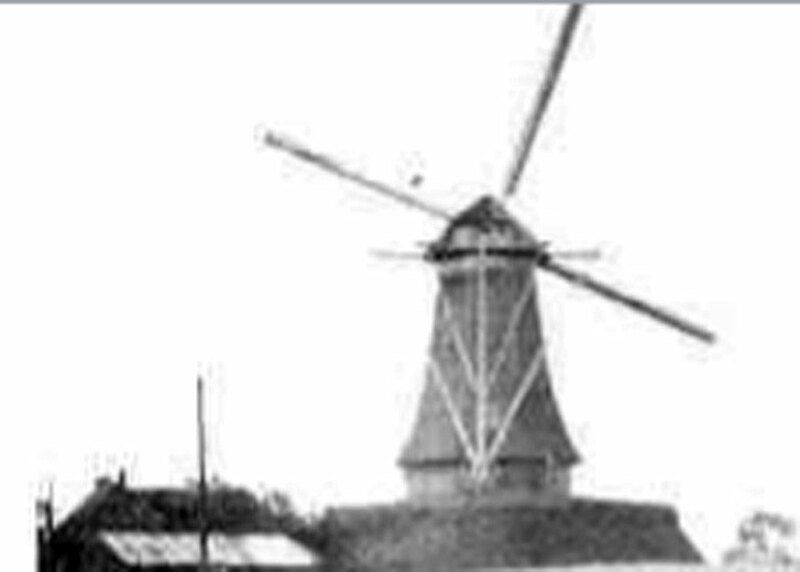 Its windmill shown here dominated the area. Unfortunately, it was used by the Germans to bring down fire on the Canadians seeking to liberate the area. It was demolished on April 4, 1945 by Canadian gun fire. As reported by Honorary Member Rev. Henk Dykman, who as a youngster witnessed the liberation of Leesten by the SD&G Highlanders, more has changed in the last 60 years than in the previous 600 years. The liberation of Leesten was part of seizing control of the area around Zutphen, a strategic objective of Field Marshall Montgomery. It was required to provide a much needed secure supply route for the advancing Allied armies. The 1st Battalion, SD&G Highlanders were detailed to capture the Leesten area. This task was undertaken on April 4, 1945. Eleven young Glens were killed that day. In today's modern community, ten streets and one bridge honour the eleven killed on April 4, 1945. 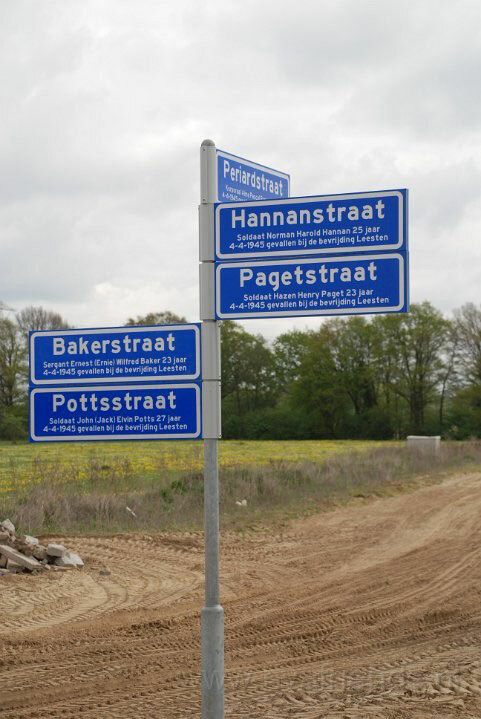 An avenue has also been named "Laan van de Highlanders". 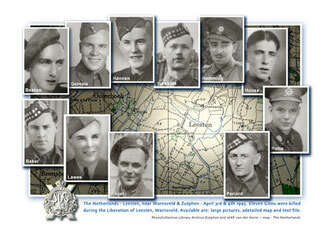 This graphic that includes pictures of the young Glens is the work of Honorary Member Wigger van der Horst. 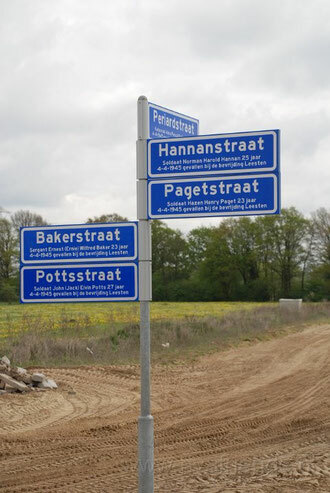 The dedication of street signs was held May 2, 2005. 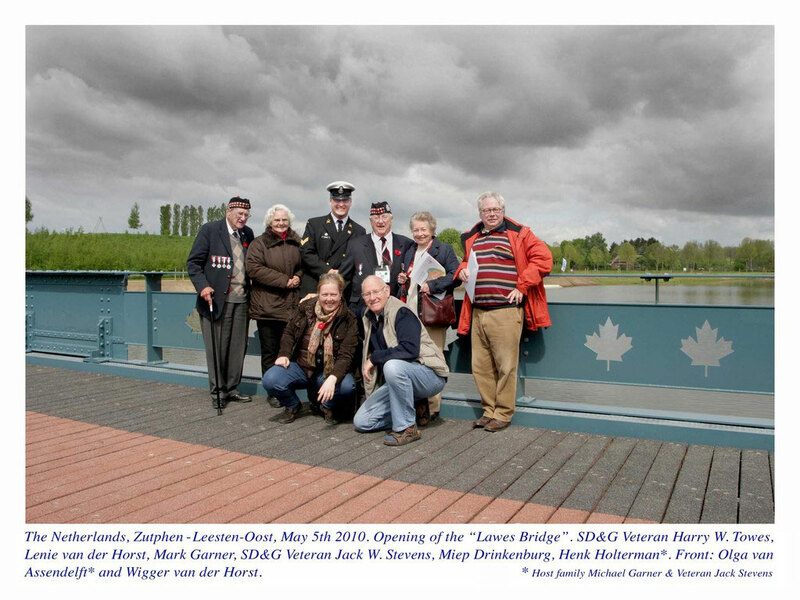 The dedication of the bridge followed in 2010. 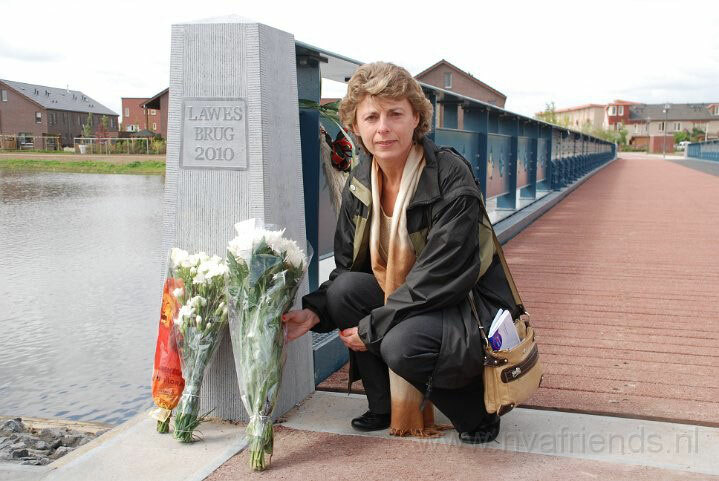 Debbie Lawes, neice of Marshall Lawes, is shown on Lawesbrug, May 5, 2010. This photograph was taken on May 5, 2010. Lawesbrug is a blend of the old with the new. The railings for the bridge came from the girders of an old railway bridge. 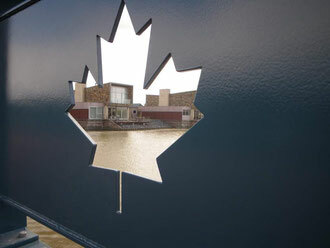 As seen in this photgraph and the one above, maple leaf cutouts line the railings. This cutout provides a great view of the new housing in the area.